Christian McMillen’s Discovering Tuberculosis is many things, but mostly it is an account of failure. The book is a story of disease control in the twentieth century that is anything but controlled. McMillen gives needed attention to problems of the past that find themselves – unexpectedly, dangerously – occupying our present moment (though it should be made clear from the outset that McMillen’s is not an account built on sweeping claims, easy prescriptions, or vitriol of a predictable political character). McMillen tells a story that is pointed and detailed, unrelenting and often exasperating, and yet surprisingly measured, not diffident but aware of the stakes of telling: “As we historians get closer and closer to the present we get nervous, because we inch closer and closer to no longer being historians” (224). McMillen pulls tuberculosis from the twentieth century into the present without sacrificing the fullness of its history. We hope you enjoy the comments on Christian McMillen’s Discovering Tuberculosis and his response. 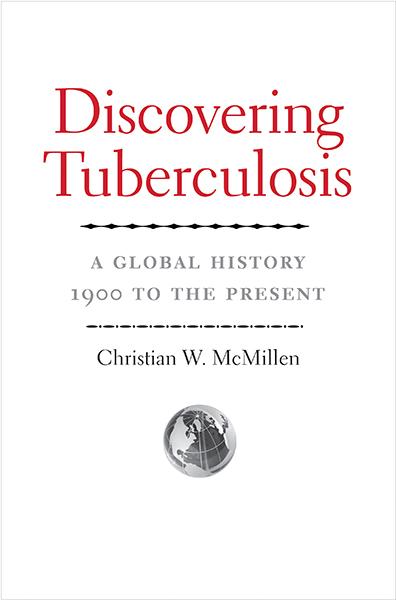 Meyers T. Book Forum — Christian McMillen’s “Discovering Tuberculosis”. Somatosphere. 2015. Available at: http://somatosphere.net/2015/book-forum-christian-mcmillens-discovering-tuberculosis.html/. Accessed April 24, 2019. Meyers, Todd. 2015. Book Forum — Christian McMillen’s “Discovering Tuberculosis”. Somatosphere. http://somatosphere.net/2015/book-forum-christian-mcmillens-discovering-tuberculosis.html/ (accessed April 24, 2019).